We're not huge Carnival Cruise fans (and we're even less so after this sailing as we found too many line ups, non quality food, not up to par service and they cater to the loud/party crowds) but we couldn't resist joining a group of family and friends who had already booked this Cruise to Celebrate Shawn's Mom's 65th birthday. No matter what we think of the Cruiseline, it's always nice to Cruise with a great group of people which is what we did with 20 of our family & friends for 8 nights in the Southern Caribbean. 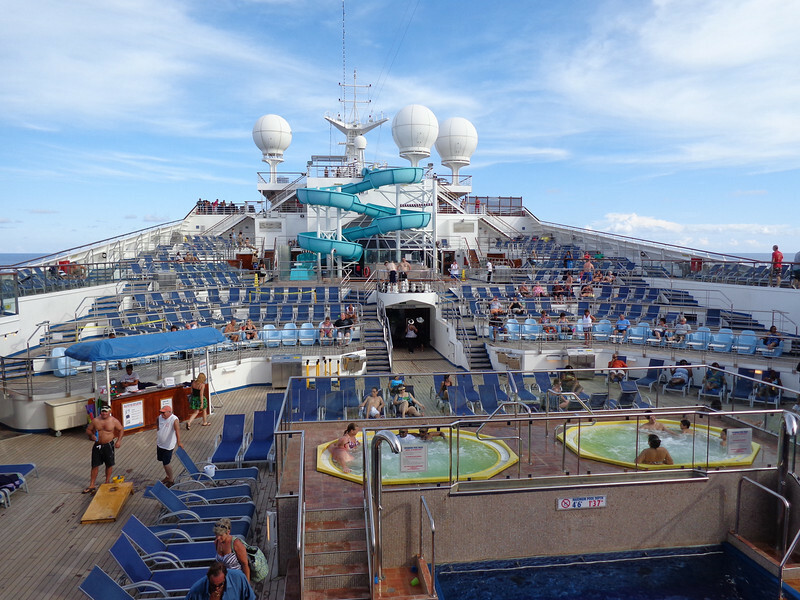 Well, after enjoying a few days hanging in Fort Lauderdale we made our way onto the "Carnival Freedom"... there's the main pool area where people enjoyed the sun & partying while we made our way to/from the Caribbean.